Court-Martial Recommended For Bradley Manning In WikiLeaks Case : The Two-Way If he does face a court martial and is convicted, Pvt. Manning could be sentenced to life in prison. An investigating officer has recommended that Army private Bradley Manning face court-martial on multiple criminal charges related to the downloading of nearly 1 million war logs and secret diplomatic cables. Manning is accused of taking the files and them passing them on to WikiLeaks. Army Pvt. Bradley Manning last month. If he does face a court martial and is convicted, he could be sentenced to life in prison. Lieutenant Colonel Paul Almanza, who presided over a preliminary hearing for Manning just before Christmas, said today that there's reason to believe Manning broke the law. 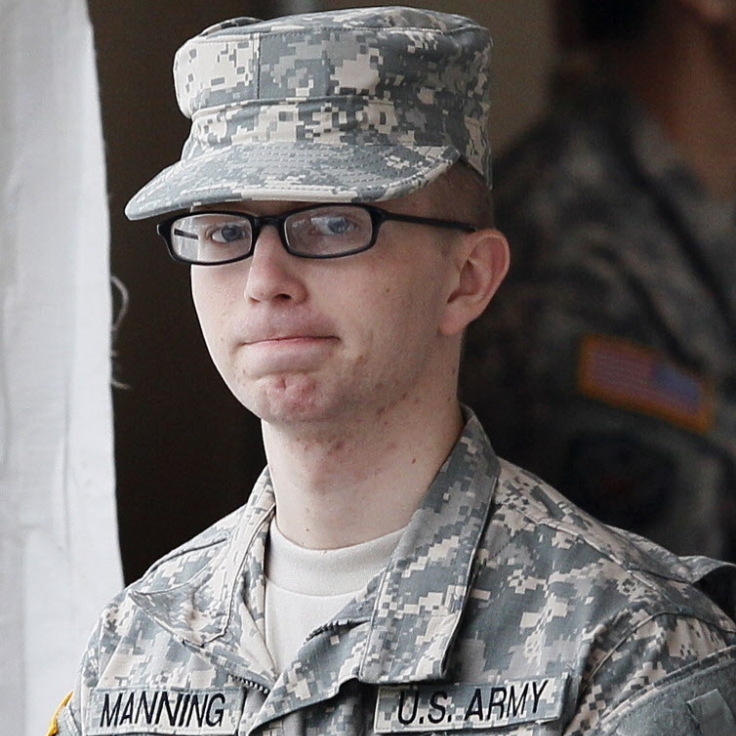 Almanza said Manning should face formal charges of theft, computer violations, aiding the enemy and causing intelligence to be published on the Internet. His recommendation will now be reviewed by higher levels in the military. Manning's defense lawyer, David Coombs, has raised questions about the fairness of the process because Almanza works at the Justice Department in his civilian life. Justice is trying to build a criminal case against Wikileaks and its controversial founder Julian Assange. Coombs also argues that the leak didn't cause any real harm to national security.